Lust auf Landkauf in Kambodscha?Ganas de comprar terreno en Camboya?What about buying land in Cambodia? Wo man auch hinschaut in Kep und Umgebung, überall hängen Verkaufsschilder für Häuser, Restaurants, Bars, Grundstücke oder Hotels. Nach ein paar Gesprächen mit Einheimischen und Zugewanderten wurde uns klar, dass die Menschen in Kambodscha kein großes Vertrauen in die Politik haben und sich vor den Folgen nach einem möglichen Tod des Ministerpräsidenten Hun Sen fürchten. Dazu kommt noch, dass ein sehr großer Teil der Bevölkerung minderjährig ist. Das bedeutet, dass in fünf bis zehn Jahren zusätzlich Millionen Menschen neu auf den Arbeitsmarkt strömen werden. – Wie wäre es mit einer kleinen Bar für 6.000$ im Zentrum von Kampot? – Doch lieber eine Strand-Bar auf der Rabbit Island bei Kep für ca. 10.000$? – Vielleicht ein Grundstück mit Meeresblick für sagenhafte 25$ pro qm? – Oder doch hier ein paar Dollar mehr investieren: Ein sehr gut laufendes (Lonely Planet recommended) Bungalow Ressort für 180.000$? Naaa Lust auf Urlaub in Kambodscha bekommen? Soeben hat Kambodscha Verträge mit China im Volumen von 6,4 Mrd. US Dollar unterzeichnet. Vayas a donde vayas en Kep o Kampot, en todos los sitios encuentras ofertas para comprar casas, terrenos, restaurantes, bares o hoteles. … a quien no le mete miedo esto, puede dejar su dinero en la costa de Camboya. – Que tal con un pequeño bar por 6000$ en el centro de Kampot? – O alomejor un bar en rabbit island por 10.000%? – Un terreno con vista de mar por 25$ cada metroquadrado? – O quizas gastar algo mas de dinero en un hotel de bungalows exitoso por 180.000$? Camboya acaba de firmar contratos con China en un valor de 6,4 Mrd. US Dollar. Parece que el futuro de Camboya es rojo! 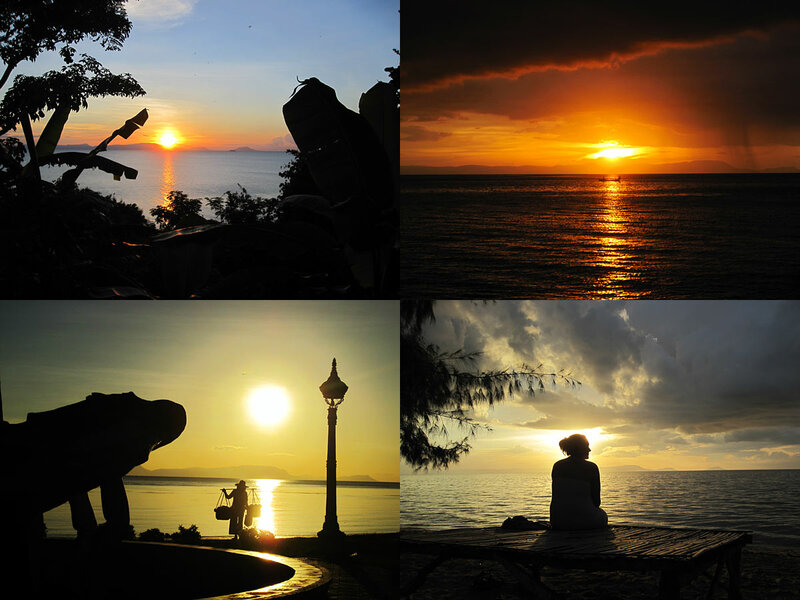 It doesn´t matter where you are around Kep or Kampot. You´ll find everywhere land, houses, bars, restaurants or hotels for sale. After a few talks to some locals and some western emigrants we realised that the people in Cambodia don´t really trust in politics. They are even afraid of what is going to happen, when the prime minister Hun Sen dies. In addition, most of the cambodian population is underage. This means, that in 5 to 10 years there will be millions of young people floating the job market. … but, who isn´t scared by this thinking, might want to let a few coins on the sunny cambodian coast. 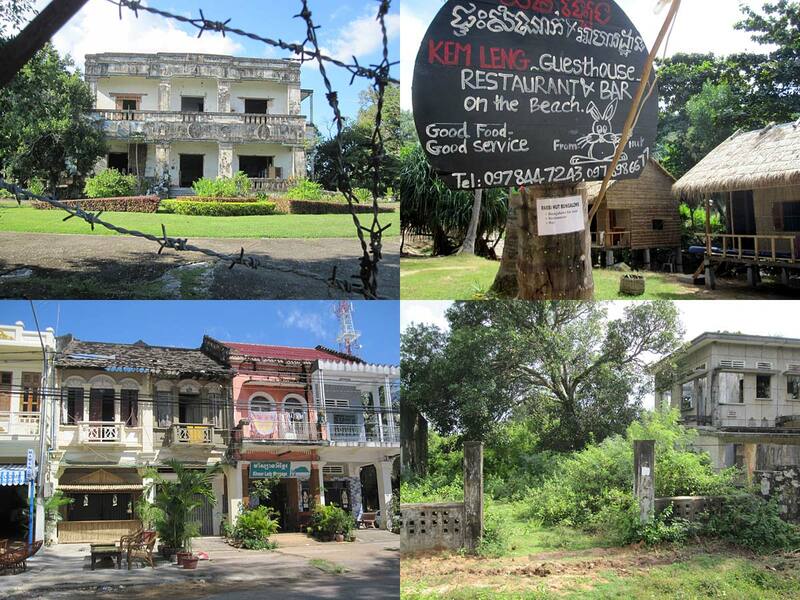 – What about a small bar in the center of Kampot for 6.000$? – Or do you prefer a beach-bar on rabbit island near Kep for only 10.000$? – Perhaps a land parcel with ocean view for incredible 25$ per sqm? 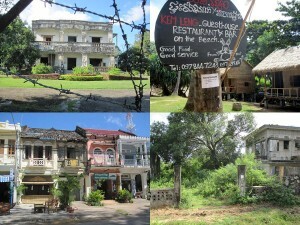 – Or investing some more money in a successfull (Lonely Planet recommended) Bungalow Ressort for 180.000$? Cambodia actually has signed contracts with China about 6,4 Mrd. US Dollar. Looks like Cambodias future is red.